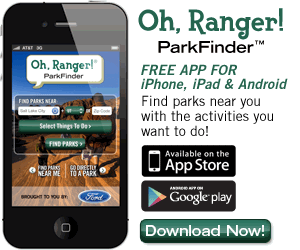 Black Hills National Forest | Oh, Ranger! The name "Black Hills" comes from the Lakota words Paha Sapa, which mean "hills that are black." Seen from a distance, these pine-covered hills, which rise several thousand feet above the surrounding prairie, appear black. The Black Hills are in western South Dakota and northeastern Wyoming, covering an area 125 miles long and 65 wide. They encompass rugged rock formations, canyons and gulches, open grassland parks, tumbling streams, deep blue lakes, and unique caves. Amid the splendid scenery are eleven reservoirs, thirty campgrounds, 26 picnic areas, two scenic byways, 1,300 miles of streams, 13,605 acres of wilderness, over 450 miles of trails, and much more. With several national icons nestled among the pines of the Black Hills National Forest, this Island in the Plains serves as the backdrop for these symbols of America. Specialized campgrounds, roaded recreation opportunities, and a system of trails connecting communities, showcase this forest that provides user-friendly access to year round family activities. Together the attractive features of the Black Hills National Forest, Custer State Park, and area National Parks, Memorials, and Monuments are the foundation for the local recreation economies. Reservoirs offer a variety of boating opportunities. Deerfield, Horsetheif, and Bismarkck Lakes allow small-motor (trolling) boats but "no wake" rules are enforced. Others like Pactola and Sheridan are popular for water skiing. Marinas at Pactola Reservoir and Seridan Lake in the central hills offer slip and boat rentals, launch sites, food service, fishing supplies and licenses , and boating supplies. There are hundreds of miles of trails and roads accessible by mountain bike on the Black Hills National Forest. Roads that wind through the forest are ideal for cycling and trails take riders on an exploratory journey. The Peter Norbeck and Spearfish Canyon Scenic Byways showcase 90 miles of the Black Hills most scenic highways, although one will find that all roads in the Black Hills are scenic drives. The Black Hills National Forest has 30 campgrounds with more than 682 individual sites. A majority of the campgrounds are operated by a concessionaire, Forest Recreation Management, Inc. and about half have on-site hosts. Electric, sewer, and water hook-ups and showers are not available. Most campgrounds have potable water and either flush or vault toilets. There are hundreds of plotted climbing courses for all different skill levels throughout the Black Hills. Several local businesses provide guides and training. Several species of game fish, including brown, brook, and rainbow trout, as well as northerns, perch, and crappies, can be caught in the Black Hills. While the Forest Service does not sell fishing licenses, a license is required to fish in both South Dakota and Wyoming. The state game departments and local retailers sell licenses. The Forest has 450 miles of hiking trails ranging in length and difficulty. 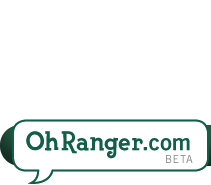 There are backpacking and day-use trails. There are opportunities for historical and cultural touring in the park. People hunt the Black Hills for both big and small game species, including: turkey, deer, elk, bighorn sheep, mountain goat, mountain lion, rabbits, and game birds. The Mallo Trail is groomed for snowmobiles during winter. The forest has more than 25 picnic areas. Some offer more than just picnic facilities. For example, at Cook Lake Picnic Area north of Sundance, Wyoming, you can fish, canoe, and hike. RVs are welcome in some of the campgrounds. Swim beaches are available at Pactola Reservoir, Sheridan Lake and Roubaix Lake. There are recreation opportunities all year round. The Black Hills Parks & Forests Association is a non-profit cooperating association that partners with state and federal agencies to promote public understanding, appreciation, and stewardship of the Black Hills natural and cultural heritage. 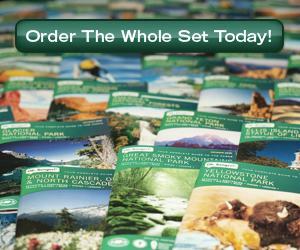 The Black Hills Parks & Forests Association sells books, maps, and other park related publications online and in visitor centers at Wind Cave National Park, Jewel Cave National Monument, Custer State Park, the Buffalo Gap National Grasslands, and Black Hills National Forest. The association publishes books and material about these areas. The association uses the proceeds from its sales to provide financial aid to its partner agencies. The monetary donations are used to print interpretive publications, fund internship positions, purchase educational supplies and equipment, serve as matching funds for grant requests, and provide assistance toward research projects. They also supply bookstore materials to the 1881 Custer County Courthouse Museum in Custer, SD and the Hudson Meng Bison Kill in Crawford, NE. Forest Recreation Management, Inc. runs most of the campgrounds in the forest. Primary access is from I90 north of Rapid City and US Highways 16 and 385 to the west and south of Rapid City, the office is located on the west side of Highway 16.